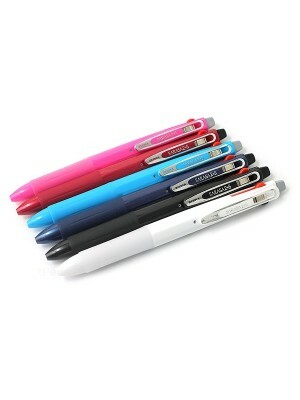 Bold, bright, and ready to write! 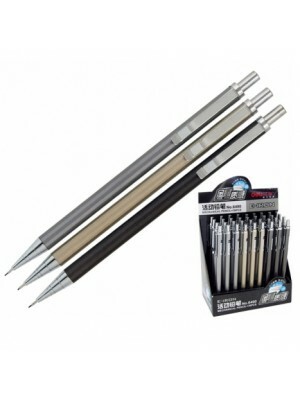 Affordable mechanical pencils for all general writing. 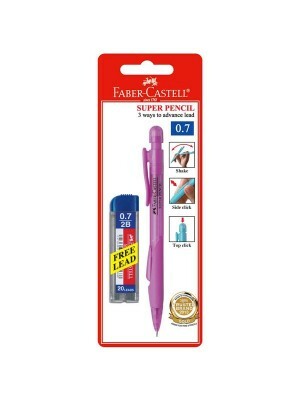 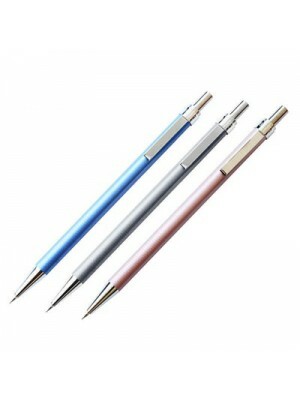 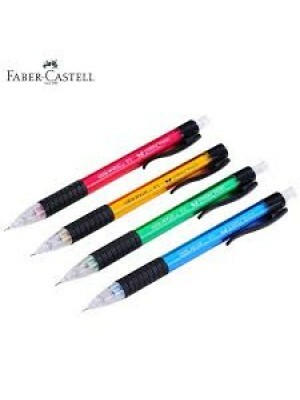 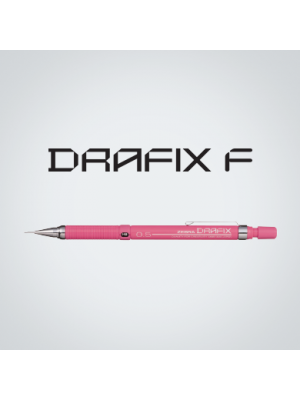 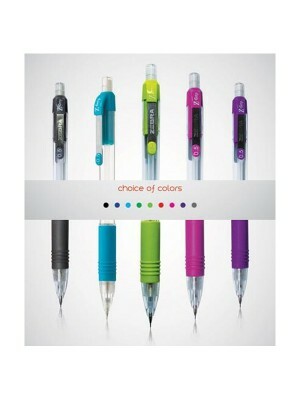 0.9mm lead ..
* Multi-purpose automatic drafting pencil. 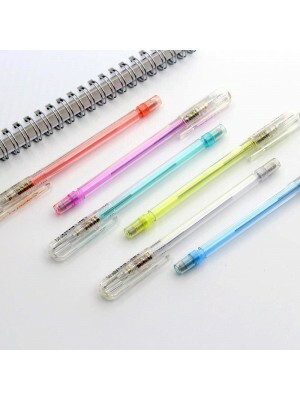 * Refillable. 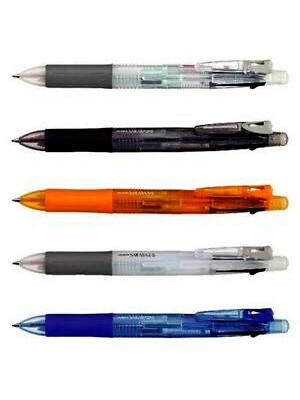 * Ergonomic barrel design. 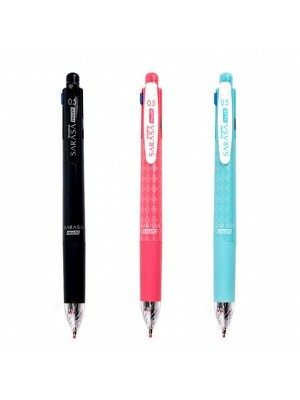 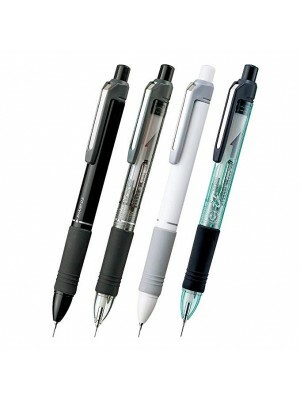 * Comfort Zone grip..
* This sleek and high quality Japanese mechanical pencil has a lightweight plastic barrel and conven..
* Made from high quality material, transparent handle. 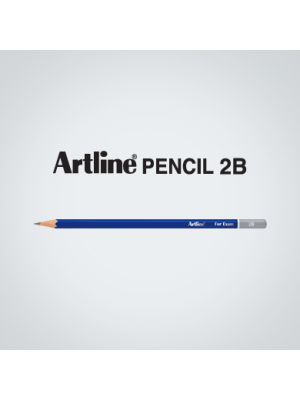 * A clamping pencil sheath, portable. 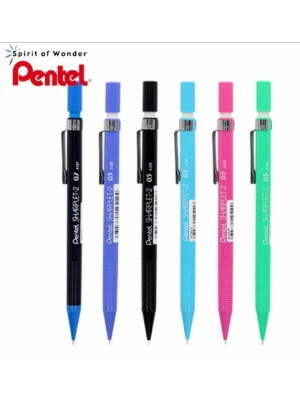 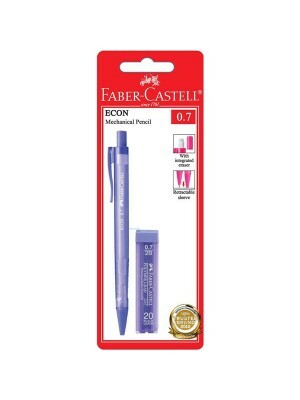 * Grip Zo..
* #1 selling lead in the world* Each tube of Pentel Super Hi-Polymer lead is made of 100% recycled p..
* Line width: 0.5 mm* Exquisite and durable automatic pencil. 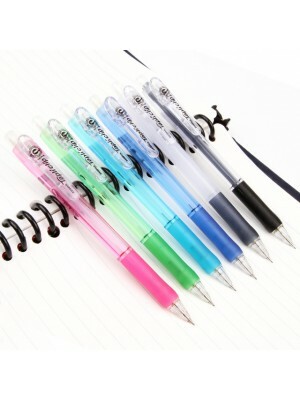 * Great stationery for school and.. 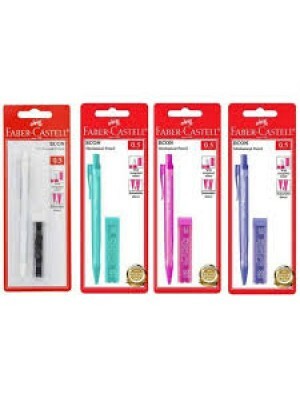 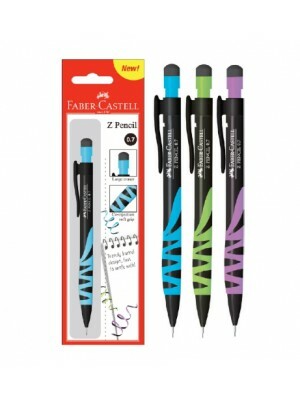 Brand : Faber-CastellColor Availability : 3 Colors - Blue , Green & PurpleWidth : 0.5 & 0.7 .. 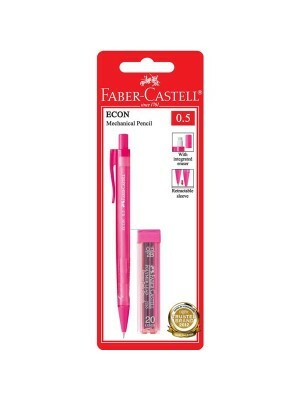 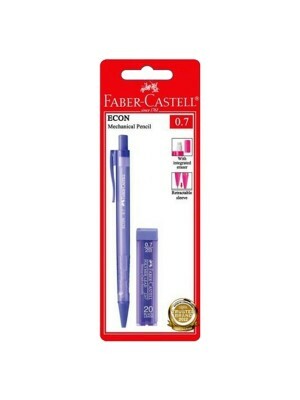 The ECON mechanical pencil comes with all features you expect from a efficient writing instrument.An..
Faber-Castell Econ Mechanical Pencil 1343 (0.7mm)* Fitted with eraser* Ergonomic triangular barrel ·..
* High quality, extra long twist eraser* Ergonomic triangular rubber grip zone* Fully retractable ti.. 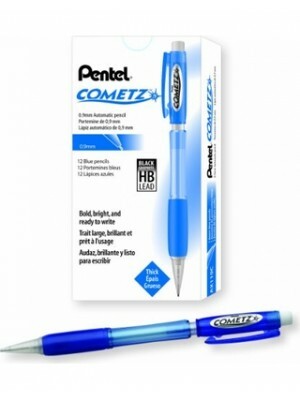 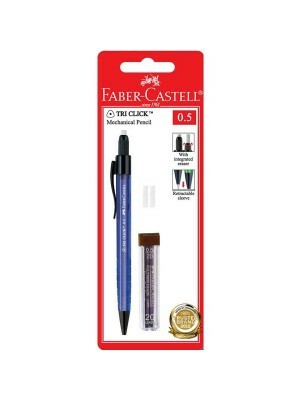 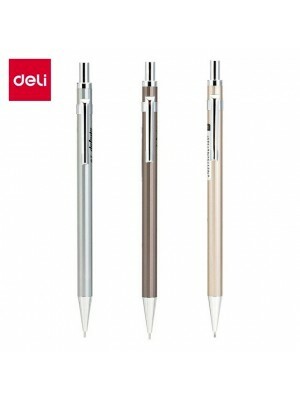 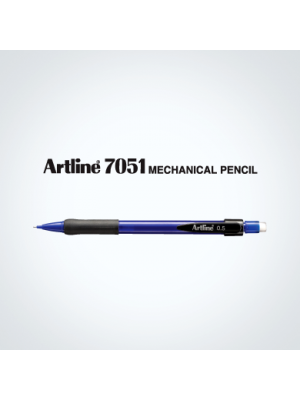 When it comes to precise, smooth and uniform writing a mechanical pencil is the best choice. 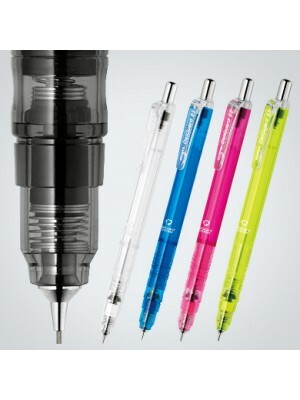 Co..
ZEBRA DELGUARD LIGHT 0.5 MAZ-84Featuring a fun & fashionable barrel design. 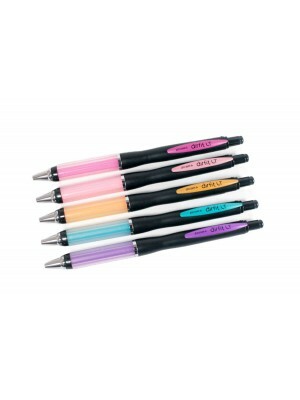 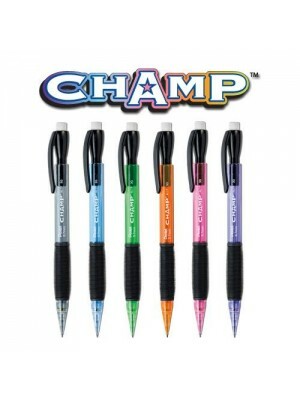 Protect the le..
ZEBRA DRAFIX F Simple and stylist mechanical pencils. 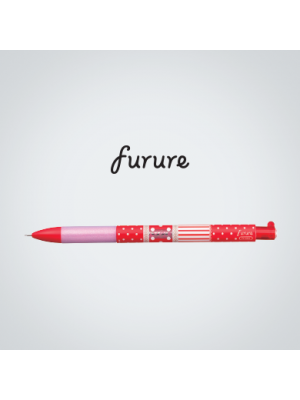 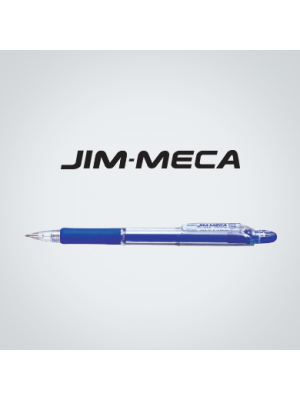 This pencil features a twistable me..
ZEBRA FURURE (MA87)Cute and fashionable accessory parts on cap, self-advancing lead mechanism with l..
ZEBRA JIM-MECA (KRM-100)Featuring a clever patent-pending design. 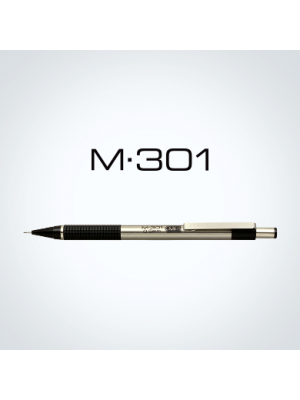 Resists lead breakage and clogging..
ZEBRA M301 (M-301) Mechanical PencilFeaturing a clever patent-pending design. 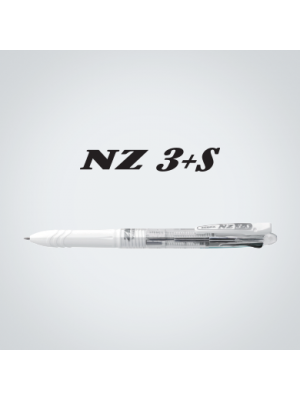 Resists lead breakage ..
ZEBRA NZ 3+S (B3SAZ13)Combination of multi-colours ball-point pen & mechanical pencil in ONE pen..
Zebra Sarasa 2+S 2 Color 0.5 mm Gel Ink Multi Pen + 0.5 mm Mechanical PencilThis Sarasa 2+S multi pe..
Zebra Sarasa 3+S 3 Color 0.5 mm Gel Ink Multi Pen + 0.5 mm Mechanical PencilThe Sarasa 3+S writes th..
ZEBRA SARASA MULTI 0.5 (J4SA11)Combination of multi-colours gel ink pen & mechanical pencil in O..
Zebra SK-Sharbo+1 2 Color 0.7 mm Ballpoint Multi Pen + 0.5 mm Pencil Sharbo is part of a premie..
ARTLINE 7051 MECHANICAL PENCIL (EK-7051)0.5mm fine line for general writing. 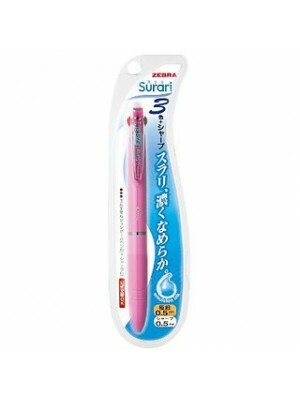 Rubberised grip f..
Zebra Multi Function Pen Surari 2+S, Black/Red Ink, * 0.5mm Ballpoint Pen, * 0.5mm Mechani..
ARTLINE EP-2B PENCILArtline 2B pencil meets international standard so it can be recognized by scanne..
ZEBRA AIRFIT LT S BA61 0.7 BALL PEN @ RM 6.50* Air-fit light S has slim body fits woman’s hand and c..
* Clear barrel for lead supply monitoring* Comfort grip and metal clip* Product Weight : Approx 100g..
* Soft rubber grip* Retractable tip to protect lead. 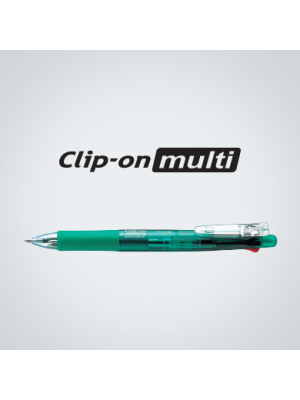 * Sturdy metal pocket clip. 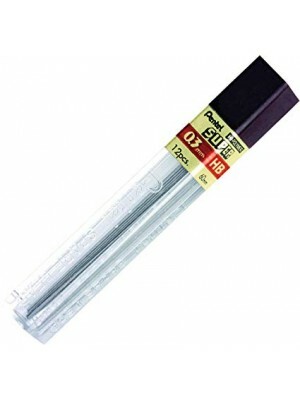 * Refilla..